Which patio door is good for you? Dubbed as the basic door, single-hinged are the most installed type of door in our homes. One side of this door is attached to a structural frame, allowing it to swing and open inwards, outwards, or in both ways, depending on your needs. 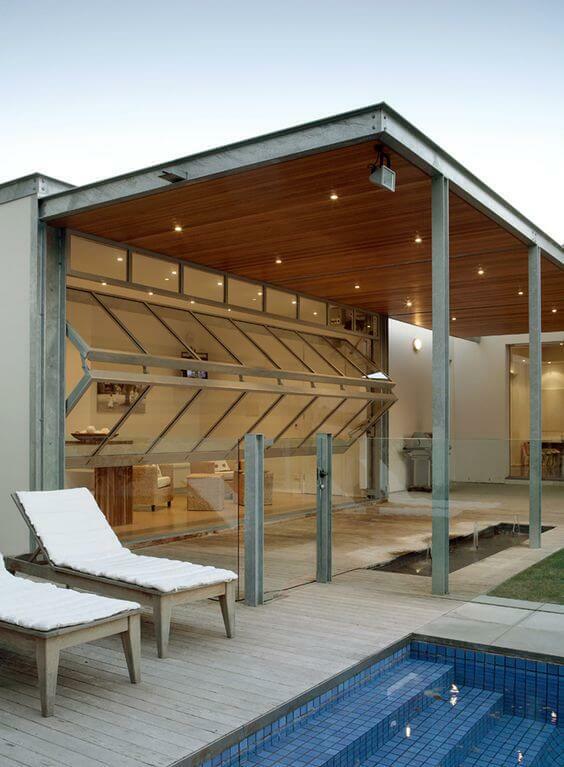 Modern home’s backdoor as seen from the stylish deck. ☑ Not all homes have room for folding or stacking doors. 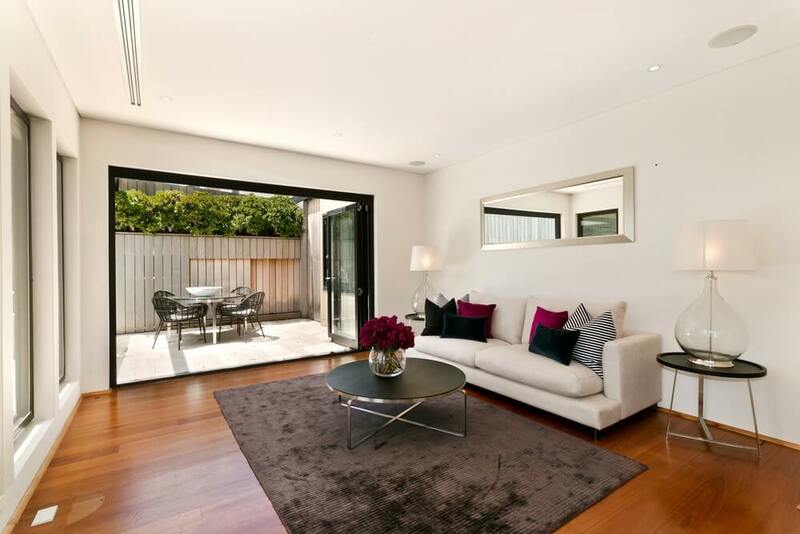 Hinged doors are perfect when there’s a narrow opening in between your indoor and outdoor areas. ☑ You have tons of design options. It comes in a variety of shapes and sizes, but make sure that your structural frame and hinges can carry the weight of your door when open. ☑ You can screen your doors to keep flies, mosquitoes, and other bugs away, without blocking the wind from entering your home. No one likes to see insects flying around but everyone will like to cool their homes naturally. 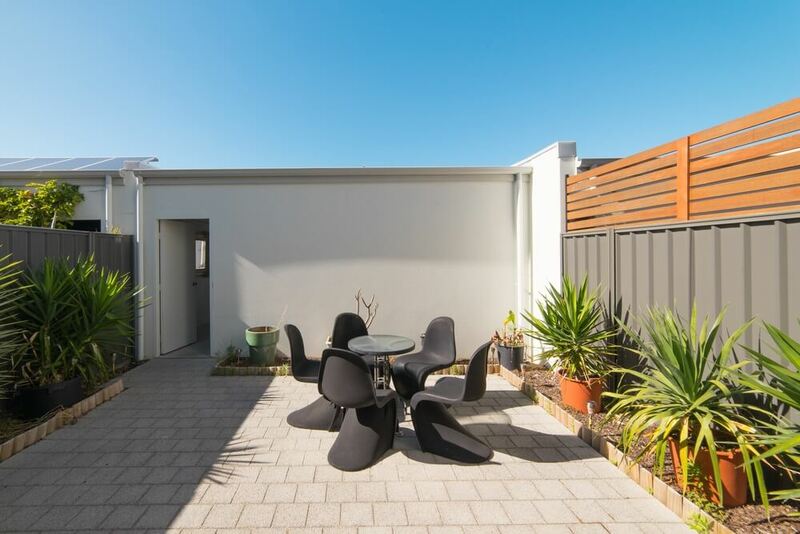 This flat’s only access to the patio is a single-hinged door. Homeowners today build or renovate homes with huge openings so they can use larger and wider doors to access their indoor-outdoor areas. 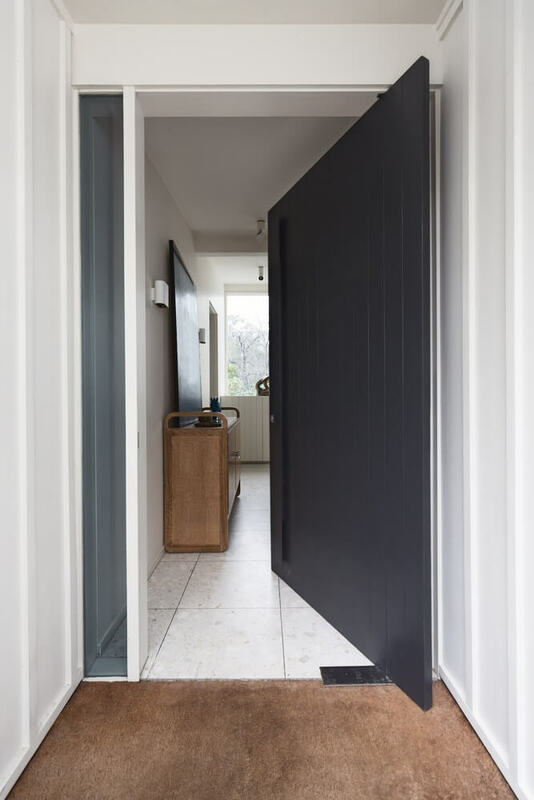 Some designers use single-hinged doors in conjunction with other door types so the homeowner can enter and exit the house without sliding or stacking all the door panels. French doors are a pair of singled-hinged doors which open away from each other. It requires a wider doorway, swings inward or outward (depending on the situation), and stacks to the wall to save space. 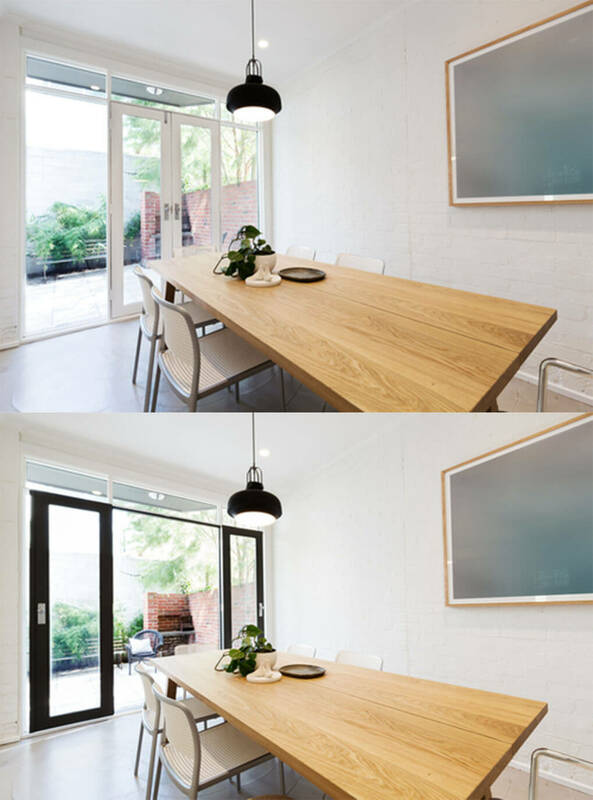 The French door that connects the dining area to the backyard opens inwards. In the event that your doorway is larger than your doors combined, fill up the sides with glass panes called sidelights. Look at how the glass panels allow more natural light in the space. Take a closer look at this door. Did you notice that one door is wider than the other? Not all french doors have multiple framed glass panels. Modern designs celebrate cleaner lines so the homeowner can enjoy heightened visibility. ☑ Both traditional or modern French door designs offer an elegant transition between places. ☑ The door’s design allows you to maximise the space of your indoor-outdoor space. This bedroom’s French doors open inwards to save space in the balcony. Bi-fold doors have two or more hinged door panels on a sill that you can fold and push to the sides. When fully open, this type of door does not block your way in and out of the house. 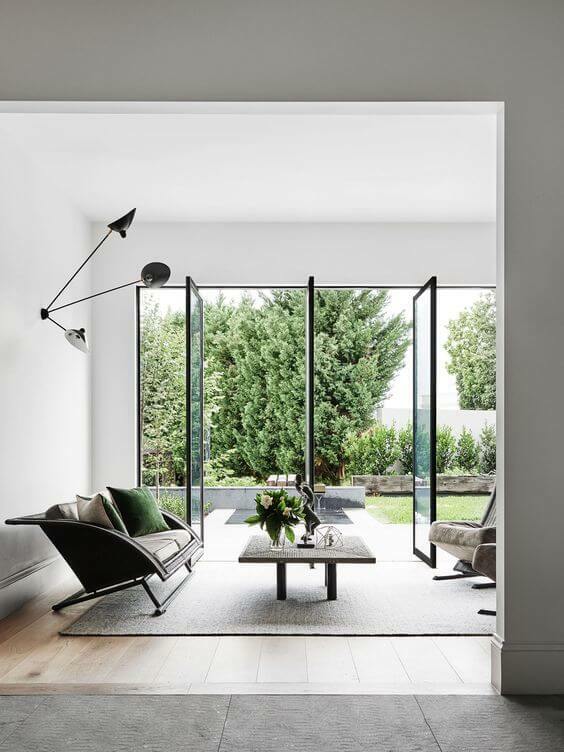 Bi-fold doors complement the glass walls of this Australian mansion. 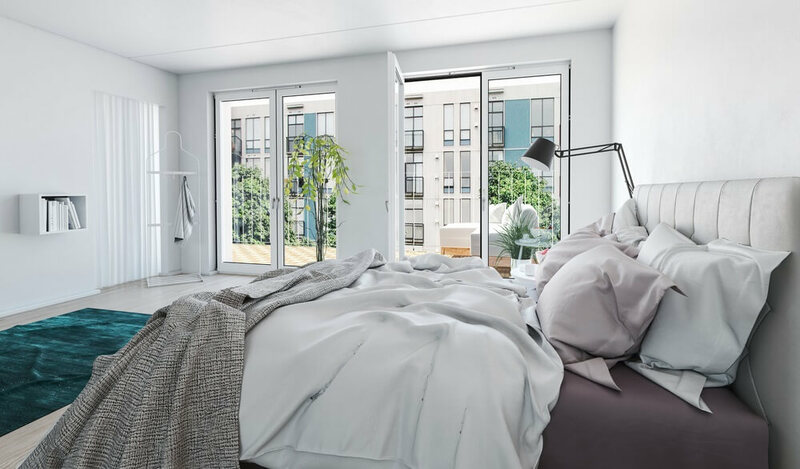 Most bi-fold doors available in the market are top hung, therefore it needs a strong structural support to carry the weight of the door panels. 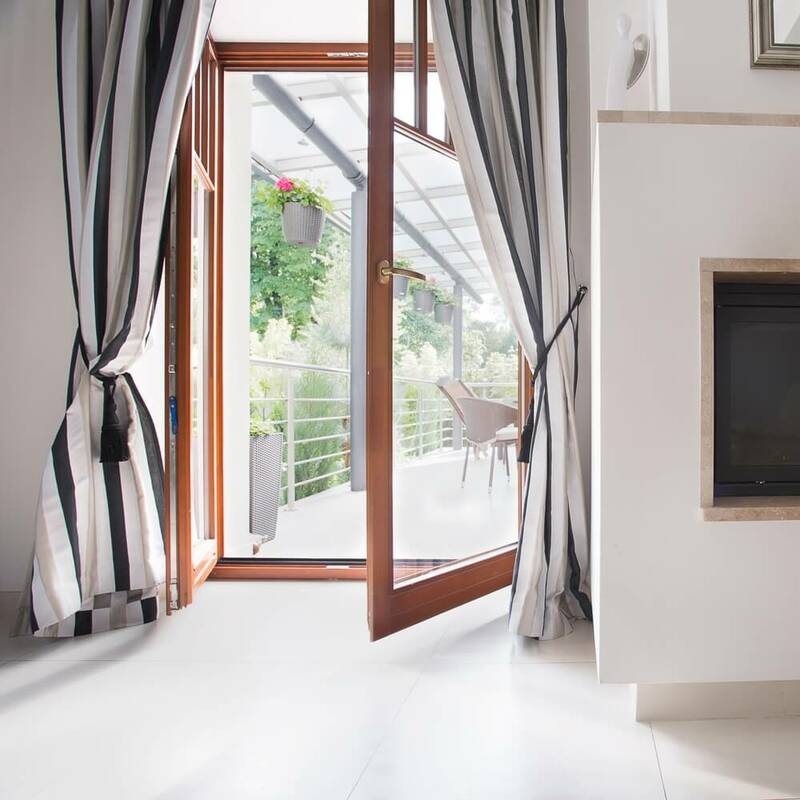 ☑ These doors make your interior space larger because your indoor and outdoor living areas connect. ☑ It can open inwards or outwards so install based on what suits best for you. 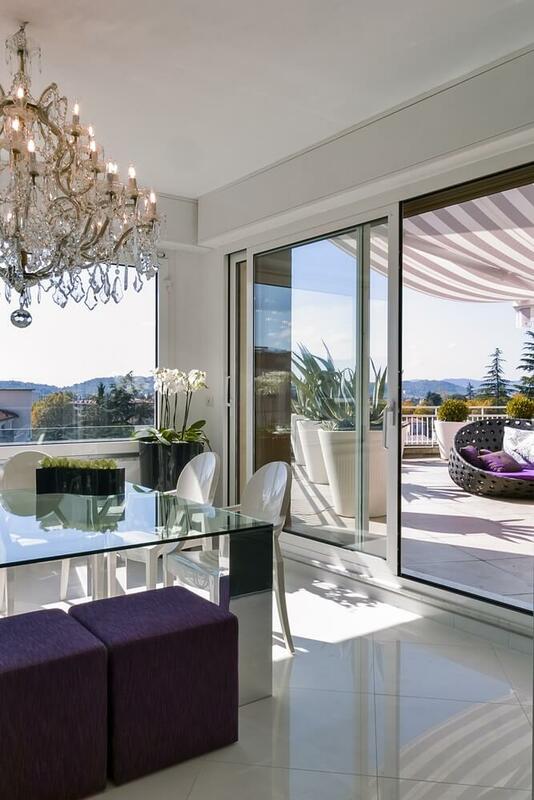 If your priority is to enhance your indoor space, fold the doors outside. ☑ You can fully or partially open it. You don’t need to push all door panels to the side to enter or exit your home. Folding your doors outwards instantly made this living room larger and more open. Opened pivot doors take both indoor and outdoor space. Pivot doors work both as a singular door or as a group. ☑ You can turn a series of pivot doors to an angle that blocks or allows natural light and cooling breezes. ☑ It’s more stylish than a single-hinged door or a series of bi-fold, stacking, or sliding doors. Unlike the bi-fold, this type of door glides and opens sideways. 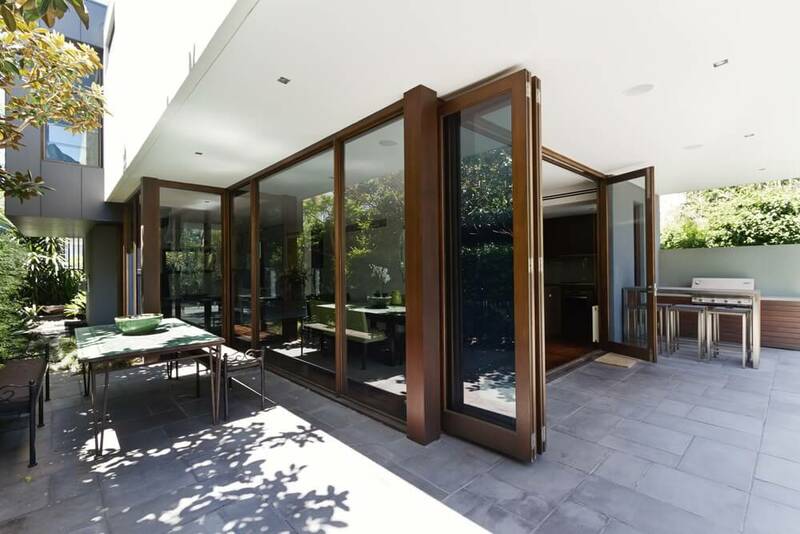 Sliding doors are massive and made of glass most of the time. ☑ Unlike bi-fold doors, sliding ones evenly distribute its weight on the lower tracks. The upper rack supports the door and keeps it in place. As a result, you won’t need heavy structural support the doors. ☑ Sliding doors are huge space savers. You don’t need to leave an allowance in front or behind the door to make it work. These type of door comprises of door panels that move sideways and slide behind the other panel. It’s almost similar to sliding doors, except that the racks support multiple panels. ☑ It’s a substitute for sliding doors if you can’t find a one that fits in your doorway. ☑ You can fully recess it in your home’s framework. 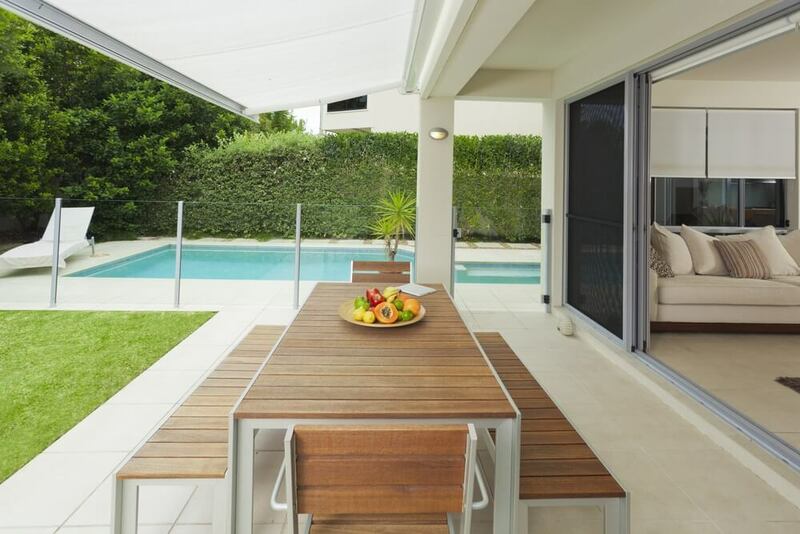 The doors will be completely hidden when open, providing a seamless connection between your indoor and outdoor space. Talk to your architect about this design. Discuss your project today. 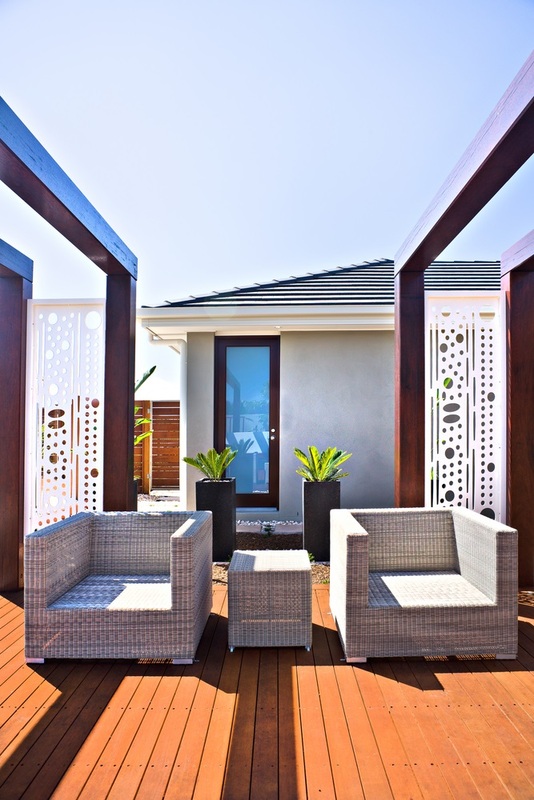 Talk to a building designer in Perth.